(News Investigators) /Dozens of members of the Boko Haram terrorists have been killed in a raid carried by the Nigerian Air Force, even as the military foiled a planned attack by the insurgents on troops. 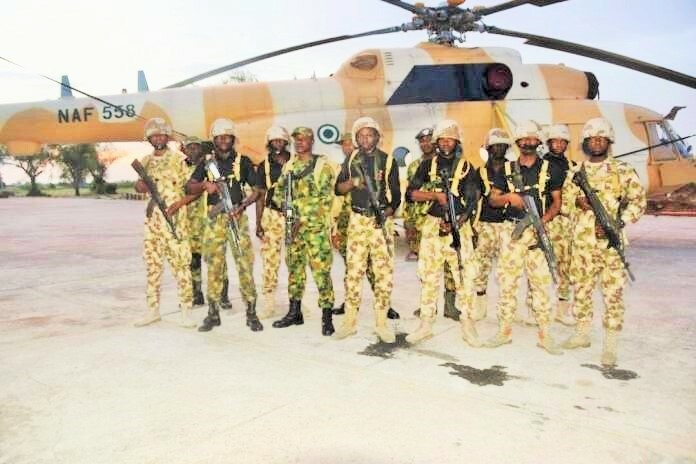 The Air Task Force (ATF) which is the air component of Operation Lafiya Dole said its carried massive day and night attacks against the insurgent between 10 and 18 August 2018. According to a statement by Nigerian Air Force’s Director of Public Relations and Information, Ibikunle Daramola, an Air Commodore, the attacks targeted the remnants of Boko Haram Terrorists (BHTs) and their facilities. 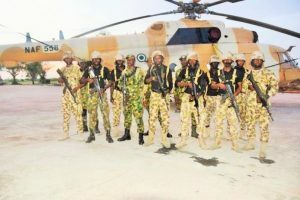 “The attacks, which were preceded by days of intensive Intelligence Surveillance and Reconnaissance (ISR) missions, were planned and executed based on credible intelligence indicating that the BHTs were making moves to regroup around the fringes of Sambisa,” Mr. Daramola said. According to the Air Commodore, “the first air strike was a daytime mission executed on 10 August 2018 at a location 4.5 Km Northwest of Arra around the fringes of Sambisa, where ISR had confirmed that BHTs were regrouping to launch attacks against our troops in the general area. “Accordingly, the ATF detailed an Alpha Jet to attack the location. Overhead the area of interest, the Alpha Jet acquired and engaged targets, destroying parts of the settlement and neutralizing several BHTs. “Intelligence reports later revealed that some of the surviving BHTs had converged at another location 4.8Km West of Arra. Consequently, the ATF deployed Mi-35M helicopter gunships for a night attack on the new location on 18 August 2018, resulting in the death of dozens of BHTs,” the statement added.